The Heart of the Forest sculpture features eight 27ft high metal tubular poles designed to resemble the branches of a tree. 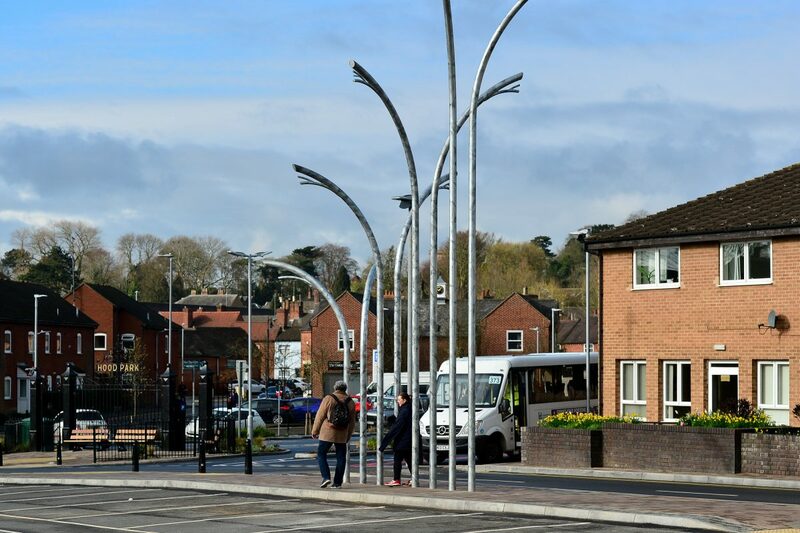 It was built in a car park in Ashby-de-la-Zouch, Leics., to promote the National Forest and was unveiled for the first time last week. 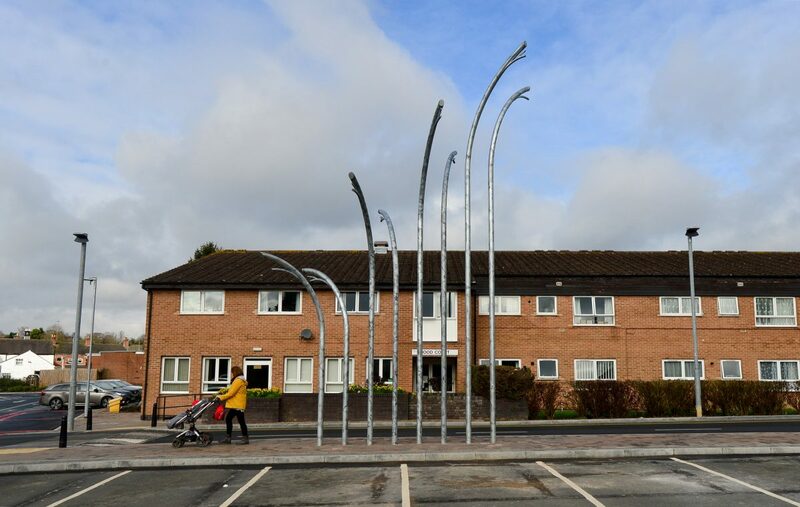 But residents have blasted the sculpture, branding it “ugly” and looking more like “melting lampposts”. Resident and business owner Thomas Walker, 45, said: “I love art and support anything that promotes the area but these are horrible. 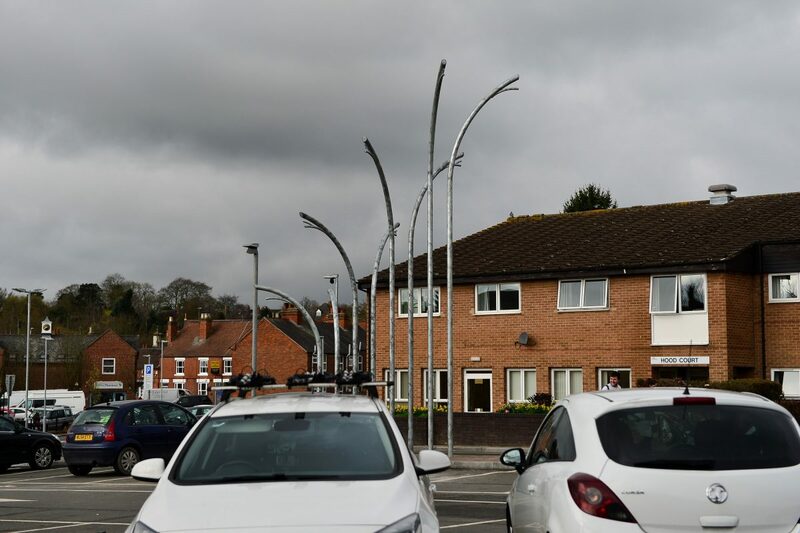 “When I saw it unveiled in the car park I actually thought they were vandalised lampposts. It certainly didn’t strike me as art. Facebook users have also condemned the sculpture, with a poll on local page Spotted found only 24 per cent of respondents supporting the artwork. Scott Pryde said: “Totally shocked at how much was spent on this. Miley Georgina Lee said: “My four-year-old could have made that and he’d have done it for a pack of magic stars. “£50k when there’s people sleeping out in the rain and others who have to use a food bank to feed their kids!! But some users disagreed, claiming the sculpture was worthwhile. Jude Albert said: “It’s lovely. “In a world full of crap on the news it’s important to have beauty too. “It’s important to teach your kids that at is important. “It doesn’t matter if you like the art just that people should be free to express their creative side. “I’ll probably get shot down for this comment but there you go. Conservative-controlled North West Leicestershire Council commissioned the sculpture from Manchester-based artist Adrian Moakes. Councillor Alison Smith MBE, Deputy Leader and Portfolio Holder for Community Services, said: “This sculpture celebrates our place at the heart of the National Forest and is a beautiful design the people of Ashby can be really proud of. Nick Clarke, a Labour councillor for the Greenhill ward, criticised the project, saying: “I am not impressed with the sculpture. “I believe it was consulted on, but I would have preferred a local artist and something more inkeeping with the National Forest and Ashby’s district. “It’s a lot of money for something that has no connection with the district. Mr Moakes said: “It is actually several sculptures in one – from two distinct viewpoints the shapes magically combine to form the image of a large majestic tree. “As you walk around the area, every view will create different combinations of forms and connotations – an avenue of trees, family groups, a line of tall arches, a forest canopy or long grasses blowing in the wind. “The branches will reach out in all directions to express a welcoming, all embracing, uplifting and positive image of Ashby.